Below, you'll find information that will help you get to know us better from awards and credentials We've achieved, to references from past clients. We consider the satisfaction of our clients to be our greatest achievement, and take pride in our high volume of repeat business and referrals. Call us today we'd love to add you to this growing list! I would highly recommend D&T Real Estate Group if you desire real estate professionals with integrity that delivers quality service. As one of Damian and Tricia's recent clients, I was thoroughly impressed with their professional approach to real estate. Given the demand for Vancouver real estate, it took a significant amount of time to finally attain a property that met my criteria. During our time together, they were always accommodating, responsive and transparent - considering my best interests first. I would highly recommend D&T Real Estate Group if you desire real estate professionals with integrity that delivers quality service. They work as an amazing team and provided outstanding personalized service. Our mom was at a point in her life where she needed to downsize and move into an Assisted Living Complex. This was a tough move for her as she didn't want to give up her independence. Damian and Tricia listed her home and were in contact by phone or in person on a regular basis. They would even drive over and visit if they felt she didn't understand what the next step was. 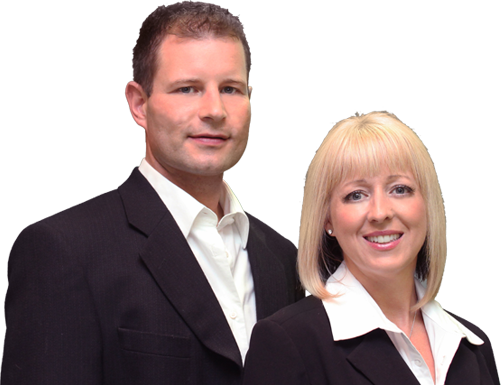 We would highly recommend Damian and Tricia to sell any home or to facilitate the purchase of a new one. They work as an amazing team and provided outstanding personalized service. Damian and Tricia definitely surpassed our expectations. Thanks to Damian and Tricia, mom has moved forward and not looked back on her decision. After Tricia and Damian showed us a condo we absolutely knew we wanted to buy, we hired them to list our home. With their efficient marketing plan our home sold in 4 days. We have bought and sold many homes over the years and the process with Tricia and Damian was the smoothest transaction we’ve had. With them as our skilled negotiators, we were able to sell and buy our new place in just a few days! Tricia and Damian were so professional yet fun to deal with, always treating us like very important clients. We would not hesitate to recommend Damian and Tricia to anyone needing real estate services – they are wonderful to deal with, they know their business and they go above and beyond to make sure the process is smooth and stress free – Thank you Damian and Tricia!! "We started with a vision of what our ideal first home would look like and asked Damian and Tricia to help us in our search. We were amazed at how quickly the response came back to make arrangements to view places they had selected for us. It was incredible how much attention was taken to present us with listings that were an exact match to our criteria. We were taken back by how professional, considerate and knowledgeable Damian and Tricia proved themselves to be. They found a home for us that went beyond what we expected to find within our budget. Despite being up against several competing offers, our offer was accepted! Thank you for finding our First Home!" We recently purchased a townhouse in Langley through Damian and Tricia. The process was complicated because we live on Pender Island, and could not readily be in Langley for viewing, or negotiating details regarding the sale or banking. Damian and Tricia took care of everything! They corresponded with my bank in Maple Ridge, sent me all of the details about the towhouse, met with my banking contact, made the deposit on my behalf for the purchase, sent all of the needed documents to my bank , as well as all of the paperwork to secure the sale as requested via email. The people at my bank were very impressed! Given that the property we were interested in was a forclosure, the purchase of the townhouse was further complicated, but Damian and Tricia saw the entire process through: they attended court on my behalf and made the offer I submitted to secure the townhouse. Their appraisal of the townhouse and what they suggested my offer to be was well judged. We came in just over the top bid and secured the home! I would recommend Damian and Tricia, whether you are buying or selling. They go the "extra mile."